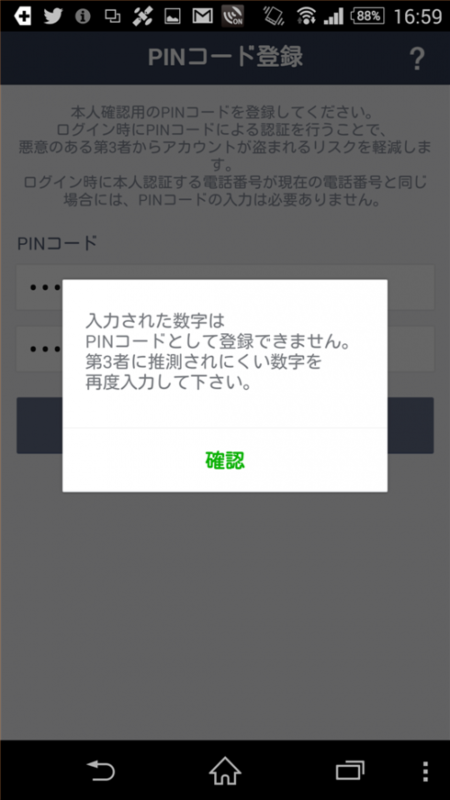 Please register a personal identification number (PIN). 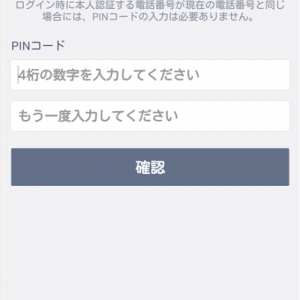 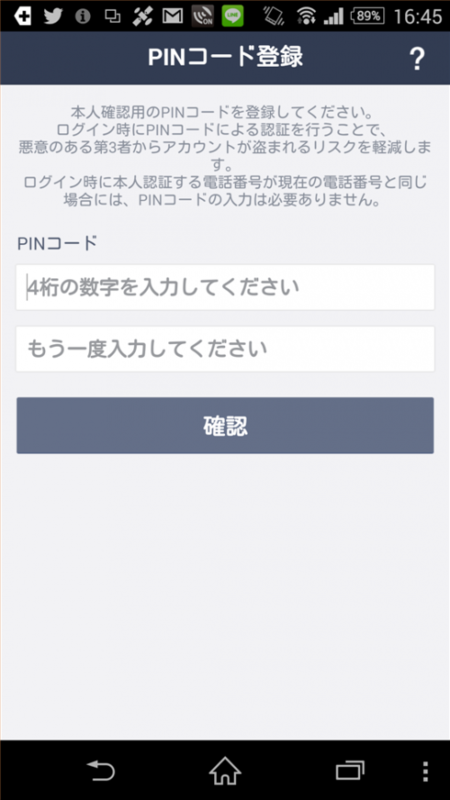 A PIN is used to identify you when you log in, and reduces the risk of other people being able to access your account. If the phone number used for personal verification when logging in is the same as your current one, a PIN is unnecessary.